Michael Lockwood shows that God’s use of the Law—for Christians as well as for non-Christians—includes the sufferings of life that destroy our self-sufficiency, which is the root of all idolatry. His book is full of practical suggestions for pastoral care and evangelistic outreach and will be an enormously helpful resource for pastors. Luther’s reading of the First Commandment interlocks with his catechetical exposition of the Apostles’ Creed. Michael Lockwood has provided an attentive reading of Luther’s theology while drawing out insights for a robust and engaging apologetic in our culture populated by idols fabricated by the self-justifying mind. This is a book that will be appreciated not only by Luther scholars and missiologists, but also by pastors and ordinary Christians seeking to sharpen their confession of Christ in today’s world. In The Unholy Trinity, Michael Lockwood eschews simple causes and facile explanations of the problem of idolatry in the individual and society and takes a deeper and more systemic approach to the issue. 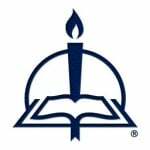 Lockwood presents multiple examples from Luther’s teaching as well as other contemporary authors. An advantage to his perspective is that being Australian as well as a pastor and scholar, he is able to observe American culture as a relative outsider, yet he has done the work and lived in the USA enough to make a fair assessment and bring to bear solutions to actual issues and problems. In so doing, he succeeds in making the issue of both idolatry and its cure in the Gospel of Jesus Christ relevant to the work of today’s pastors, missionaries, laity, and theologians alike. In two ways, Michael Lockwood has done us all a great service: he has rendered a fundamentally important theme in Luther’s theology accessible, and he’s shown us why it matters. In nine, deeply researched and highly readable chapters, Dr. Lockwood not only describes Luther’s analysis of idolatry, but he also explains how idolatry functions. For Luther, idolatry is false faith. It’s a lethal trust in the wrong thing in the wrong way. Luther didn’t regard idolatry as misplaced philosophy, with merely academic consequences, but as a deadly peril because of what it actually does. Functionally, idolatry unseats faith in each of the persons of the Godhead, replacing it with a counterfeit trust, not just in “god” generically, but by creating a bogus equivalent of each person. The Father, the Son, and the Spirit are each and all supplanted, by “me, myself and I.” Michael Lockwood’s writing is saturated with Luther in the best possible way. He shows not only what Luther said in the past, but why it’s important to keep hearing it in the present. This volume is not just an important contribution to Luther studies, it’s a seminal book for understanding the distinctive work of Christian ministry and the uniqueness of the Christian Gospel. How does a preacher best commend the Christian faith to people who have no need for the Gospel, let alone any desire to participate in the Divine Service? Dr. Lockwood provides us with a diagnostic tool for effective proclamation by his excellent analysis of Luther’s teaching on human idolatry and the impact of its delusive claims. Luther held that the cause of idolatry lay in the mistrust of God and his Word. The human heart relies on its own idols, rather than God’s Word, to secure, justify, and empower itself. It replaces the triune God with the unholy trinity of Me, Myself, and I. These idols are debunked and destroyed by the proclamation of God the Father who loves us and provides for us, God the Son who justifies us and gives us access to the Father in the Divine Service, and God the Holy Spirit who enlightens and empowers us spiritually through his Word. This thoroughly biblical, culturally relevant study is a joy to read. Saint Augustine spoke of idolatry as worshiping anything that ought to be used, or using anything that is meant to be worshiped. John Calvin spoke of the human mind as a perpetual forge of idols, daring to imagine a god suited to its own capacity. And now we have mighty Luther, who shares the stance of Augustine and Calvin, but whose many statements on idolatry have never before been gathered together or considered in such a substantial, accessible, and pastorally fruitful manner. In carefully drawing out Luther’s triune-shaped theology of idolatry and applying it to the contemporary scene, Dr. Lockwood reminds us of at least two realities. First, five hundred years after sparking the Protestant Reformation, Martin Luther is still to be studied with great profit. Second, each of us is an idolater at heart and in need of the liberating love of our Lord Jesus Christ. Given the light that is shed upon Luther’s theology as a whole and the fact that readers will find themselves pointed afresh to Christ and the Gospel, I truly hope this helpful and stimulating volume will be read by many within (and well beyond) evangelical Lutheranism. Today, secularism is seen as social policy, agnosticism and atheism appear to be respectable, and the ranks of the “nones” are swelling, while indifference to religious views and affiliations grows. So at first glance, idolatry is an unpromising topic for the church’s life and witness. But, as Michael Lockwood shows, a deeper look at idolatry, especially through the eyes of Martin Luther, is revealing and compelling. 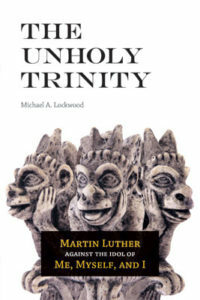 Tying together many strands and uncovering varied connections in Luther’s thought on false gods, Lockwood presents a rich trinitarian account of idolatry and uses it to uncover and overcome the idols hiding in plain sight today.